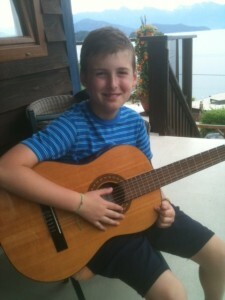 Taking guitar lessons from Steve has been such a positive experience for me! I have found Steve to be very encouraging – rallying behind my every improvement and keeping me excited about the progress I’ve made. I really find that my lessons are individual to me and my pace, and that Steve makes the necessary adjustments needed to keep me moving ahead. Knowing that Steve plays guitar so beautifully himself, I always appreciate that he has the patience for me as a beginner, and that he notices and comments on my small improvements as though they were huge! Steve quickly found my level of knowledge and playing ability and put me on a learning path that is both enjoyable and challenging. 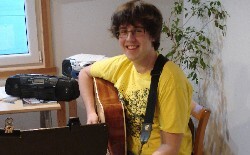 “I’ve been taking guitar lessons with Steve for the past six years, and my skills have improved exponentially. His musical knowledge, sense of humour, and easygoing attitude have kept me looking forward to our lesson week after week. 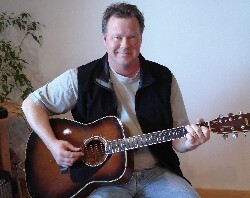 Steve, while entrenched with a rich jazz/blues background, was willing to explore any style of music with me. 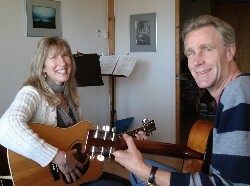 The experience I gained working with Steve ensures I’ll be playing guitar for many years. Steve is a great guitar teacher! He’s great because he’s really specific in what he wants me to focus on and he’s really funny. We play music games which tricks me into learning timing, notes and rests. Even though I’m moving, I hope Steve’s still my teacher. 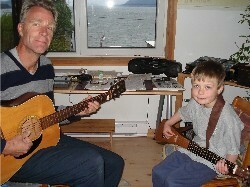 After having my son begin guitar with another teacher, I was so happy when we switched and Steve became Lucca’s teacher. His patience, friendliness and skill made Lucca truly enjoy learning. What a gift Steve has in his teaching ability. To hear a child laugh and look forward to lessons is priceless.